Lamborghini are probably the most insane car maker there has ever been. They have created iconic cars for generations from the first 350GT right up to the current Aventador SV. They have adorned bedroom walls and computer screens for years and are one of my favourite car brands. Here I will talk you through why I believe Lamborghini are so great. The birth of Lamborghini is all down to Mr Enzo Ferrari. Confused? Then let me explain. After World War II, a mechanic began creating tractors out of disused military machines. In 1958, when his tractor business started to turn a healthy profit, he decided to treat himself to one of the most sought after cars – a Ferrari. However, shortly after his purchase, the tractor manufacturer noticed the Ferrari was not only too noisy and rough for use on Italian roads, the clutch needed constant repairs too. So disappointed with his new car, he decided to take his complaints all the way to the top of Ferrari. Enzo Ferrari did not take too kindly to criticism of his beloved sports car from an interfering ‘know it all’ tractor mechanic and he told him as much in person. Feeling hurt and belittled after Enzo’s insults, he sought to make his own sports car that would be superior to Enzo Ferrari’s company. The mechanics name you ask? His name was Ferruccio Lamborghini. In May 1963 he set up Automobili Ferruccio Lamborghini and built his his first car – the 350GTV. It was shown at the Turin Motor Show in November 1963. By 1964, Ferruccio had already sold his first 13 cars (the 350 GTV was renamed 350 GT after the Motor Show) but at a loss in order to keep competitive with Ferrari. Ferruccio was a Taurus which one of the reasons for Lamborghini’s iconic charging bull logo. He bought a large plot of land roughly 25km from Bologna in a town called Sant’Agata Bolognese and built a new modern factory in order to produce his sports cars. Although Ferruccio was heavily involved in the business side of his company, he still made frequent visits across from the office building to the adjacent production line. He rolled up his sleeves to personally work on the cars when he saw that something was not to his satisfaction. 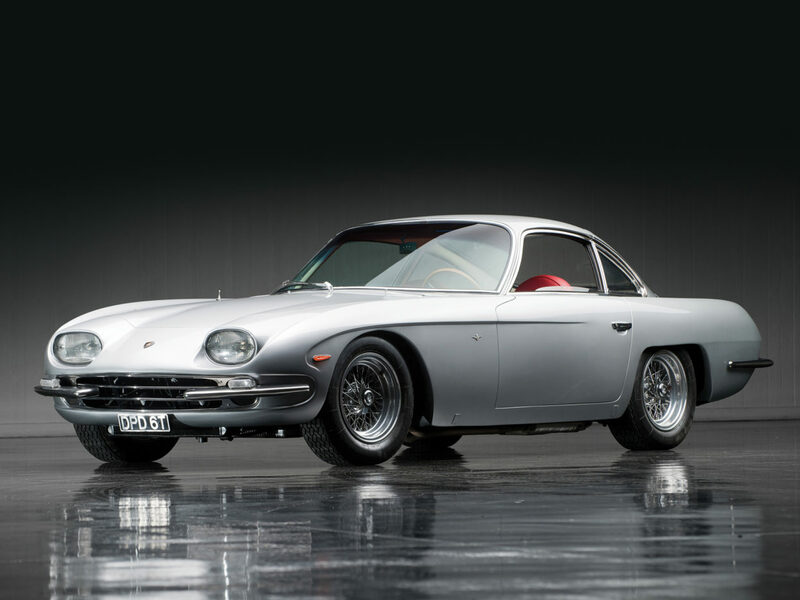 After the hit of the 350GT (of which 120 were eventually built), work began on Lamborghini’s next car, the 400 GT (of which 273 models were made). 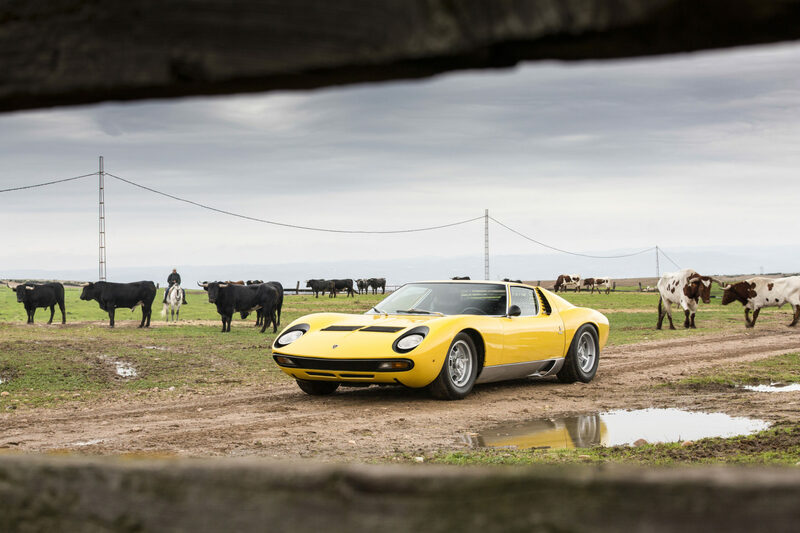 However, it wasn’t until 1966 when the Miura was launched that Lamborghini became a household name. Its rear wheel drive, mid-engine layout became the industry standard for every supercar to follow. Think of Lamborghinis and you probably think of bright colours, a loud engine and scissor doors. And you’d be correct. 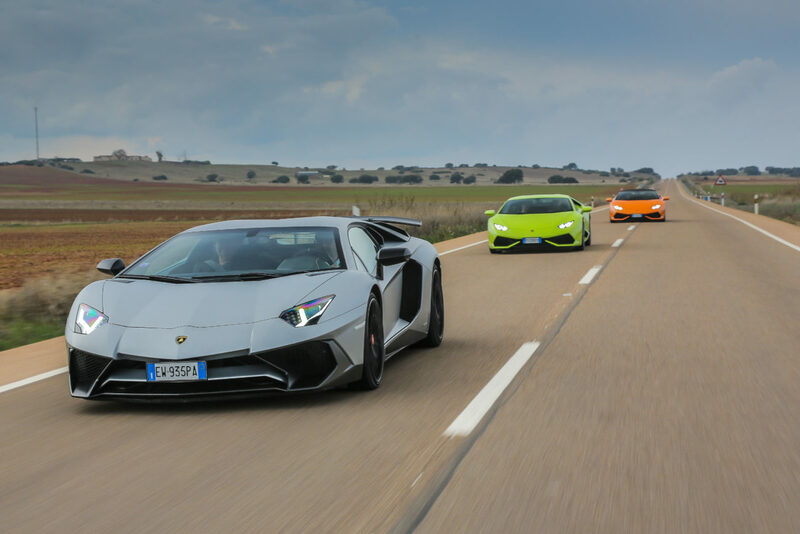 Unlike Ferrari or Porsche or any other sports car company, Lamborghini has always embraced the pantomime and drama of motoring. They almost wear it as a badge of honour. It is true that Lamborghinis have never been the best in the world to drive or own. 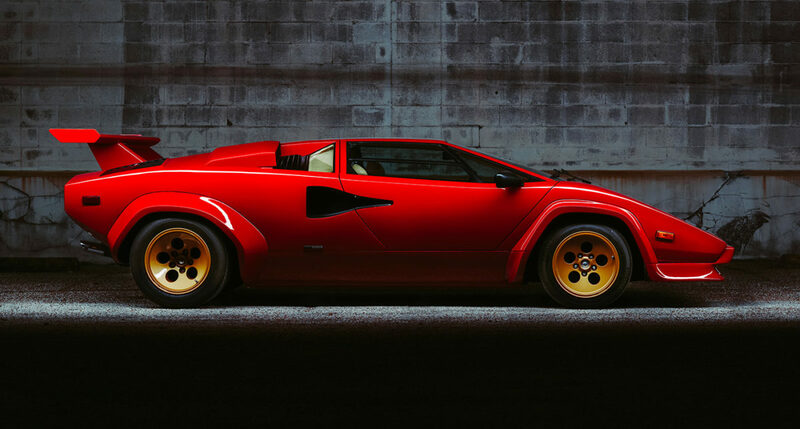 The Countach for example, was too large and impractical. It’s blind spots and heavy steering (to name just a few flaws) made it very hard to drive. But as with every Lamborghini, what it lacked it usability and driving pleasure, it gained tenfold in looks and drama. Rather than opting for a sensible and practical doors, Lamborghini thought upward opening doors would much better suit a supercar and they were right…sort of. Ok, yes they are a pain to actually get in or out of and are quite heavy to operate, but crowds of people stop when they see one parking to try and get a glimpse of those doors. That’s what you get a Lamborghini for, unlimited showing off power. Bodywork that could stop traffic, then a loud powerful engine to leave it behind. Its the very basis of a supercar. Put it this way. When you are 12 years old, you draw cars in the back of textbooks at school, they have laser beams on, look like sharks and go a million miles an hour. But as you get older you realise you need more doors, boot space, decent mpg and other boring factors which water down the image and you end up with a boring hatchback. Lamborghini is the closest you will ever get to own your childhood scribbles. Need good mpg, get a VW Golf. Need off road ability, get a Range Rover. Need luxury, get a Rolls Royce. But if you need style, drama, excitement, lunacy, noise, speed, power then there’s only one car for you…a Lamborghini. My personal favourite Lamborghini is surprising as it isn’t an obvious choice. It’s basically a convertible version of the lightweight Superleggra and I think it is one of the most stunning looking cars of all time. The blend of the white body with the black stripes and makes the car seem special. You may argue that every Lamborghini is special but this gets inside me and does things to my heart that I struggle to explain. Isn’t that the whole point of a supercar? You want it regardless of anything else and you can’t put your finger on why. There is no definitive reason for me wanting one but I do. 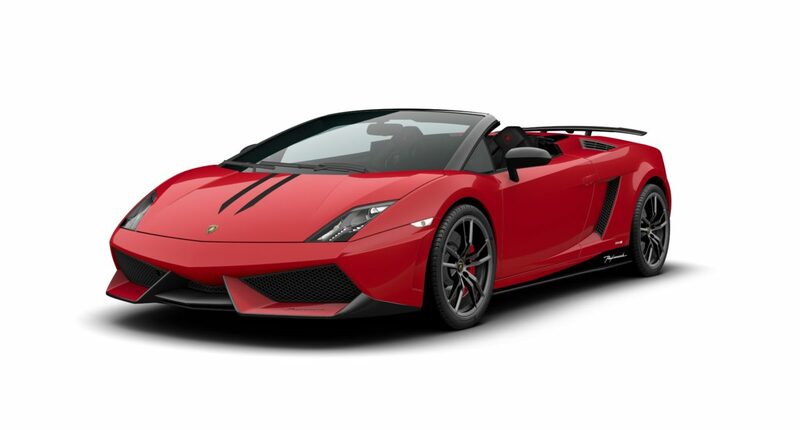 The Gallardo Performante however, is much more than a pretty face. The Performante is 65kg lighter and has a remapped ECU which means an additional 10bhp but also lower emissions than standard. That means a total power output of 570bhp and a top speed of 201mph. The noise from the 5.2 Litre V10 is absolutely addictive and best enjoyed with the roof down on a clear summer’s day. No other car even comes close for sheer aggressive noise; you will never get tired of hearing the signature Lambo growl. Sadly they cost £186,000 and are all sold out. So the chances of me owning one are incredibly slim…but there’s always the lottery. My second favourite Lamborghini is another Gallardo. 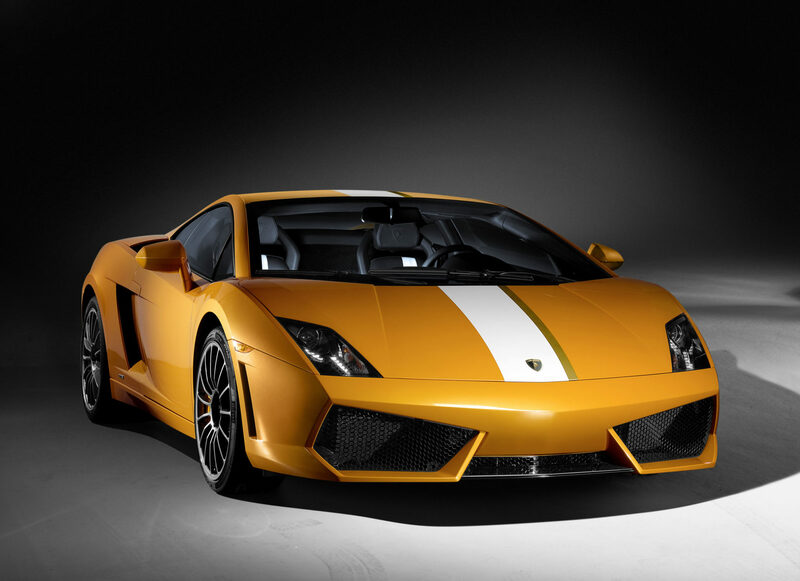 This one is slightly different as it acts as a touching tribute to their test driver, Valentino Balboni. What other manufacturer would dedicate a special edition car to one of their own employees? It probably helped that Mr Balboni had a name befitting of a supercar (let’s face it, John Smith doesn’t have the same ring) but anyway, the car. Out went the Gallardo’s 4WD system and rear wheel drive was established making this the first Lamborghini in a long time to feature rear wheel drive only at Balboni’s request. 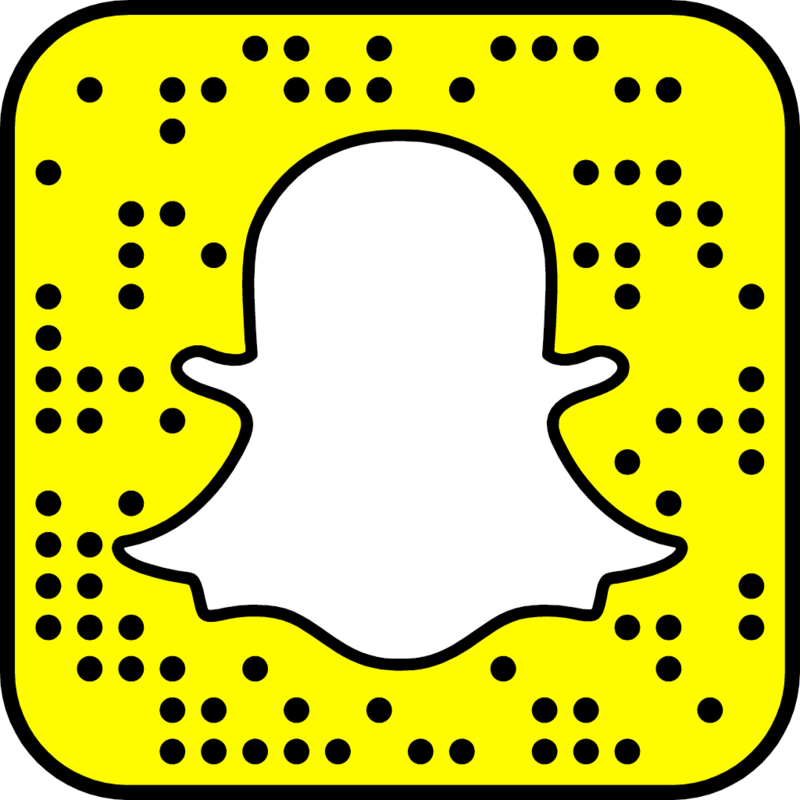 This meant the car was capable of lots of sideways fun without reaching the speeds needed to break the grip of a 4WD setup. The weight was also reduced by 30kg by replacing the drivetrain set up. The standard 5.2 Litre V10 remained and produced 542bhp. It hit 62mph in 3.9 seconds and maxed out at 199mph but, the main talking point and possibly the reason I love this car the most, is the stripe. Yes I know some people find stripes tacky but somehow this one isn’t. Maybe it’s my inner child but I love the stripe. Not only does it go the length of the car but it also goes along the length of the interior as well. A white centre console is contrasted by the black upholstery. There is also a badge underneath the left side window (right side window for right hand drive cars) which has the signature of Valentino himself and the production number. Only 250 cars were made meaning seeing one will be highly unlikely, unfortunately. The last Lamborghini in my top 3 is the Murcielago SV, the last hurrah for the mighty Murcielago. As the car was nearing the end of its production run, rather than let it go out with a quiet whimper, Lamborghini decided to do the complete opposite because Lamborghini don’t do quiet and dignified. The SV (SuperVeloce) is quite a special badge and was saved for the most extreme track based cars and has only appeared on the Miura and the Diablo. The V12 is upgraded to produce 661bhp and a diet helped it reach 212mph. The diet consisted of losing 100kg with the help of carbon fibre and a new lighter exhaust system. The car also sported a unique new look which featured a huge rear wing and even more aggressive styling. The blacked out rear end has since become a feature on the current Aventador SV. This was the first hard-core production Lambo of the millennium and introduced a whole new generation to the lunacy of Lamborghini. Although production was limited to 186 models it would be impossible not to notice one with it loud paint job and even louder exhaust. Want to make a bedroom poster Lamborghini? All you need are the right ingredients, a powerful V12 engine, wild body, lashings of carbon fibre, a hard to pronounce name and a price tag to make the eyes water. The Reventon has the lot. Based on the old Murcielago, it was meant to look and feel like a fighter jet with number plates. The styling was a key feature of this car as the nose would later feature on the facelifted Gallardo while the whole body gave inspiration for the current Aventador. The car only came in one colour, grey and had several unique design features such as the triple arrow LED tail lights, angled headlights and fighter jet mode for the instrument binnacle (including a G-force-metre). The whole car looks like it is a demon car and is something that the devil himself would drive. The V12 was capable of a top speed of 221mph and had 631bhp. Only 20 Reventons were ever made at a cost of £840,000 each with an additional 15 roadster versions also being made, each on slightly more costly. The name, although spelt with a V, is actually pronounced Rebenton in order to confuse everyone and is named after a fighting bull, a Lamborghini tradition. 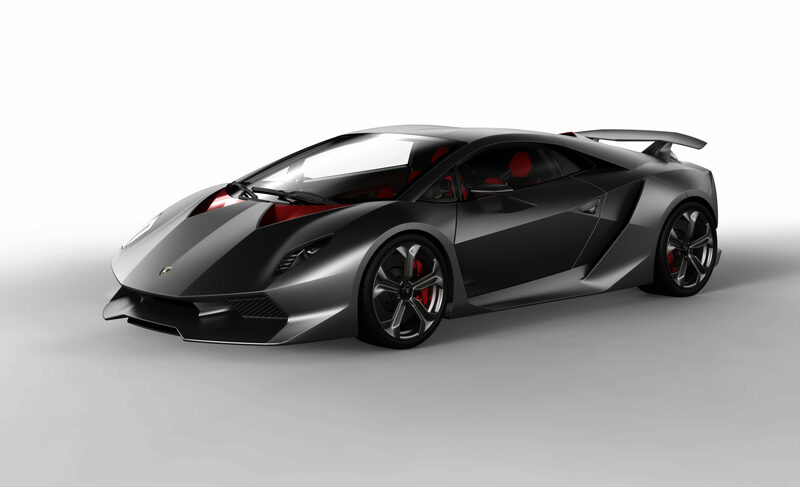 This concept was based on Lamborghini’s love of carbon fibre (the name itself refers to the atomic number of carbon). Basically a Gallardo on an extreme diet, weighing in at only 999kg with a huge 570bhp 5.2 litre V10 to boot meant this was an insanely quick car. 0-62mph in just 2.5 seconds and a top speed of 210mph. Special design features such as the exhaust pipes exiting under the rear wing, the hexagonal vents over the engine bay and exposed mechanics separated this from a standard Gallardo. The interior was stripped to the bear minimum, even throwing out the dashboard. Only a few creature comforts were allowed like air conditioning and a radio. The seats were just foam pads stuck straight to the bare chassis. So extreme was this car that it could be a track car and only 20 were eventually produced at over £1.5million. Due to the extreme weight shedding, this is one of the only Lamborghinis not to spawn a roadster version. 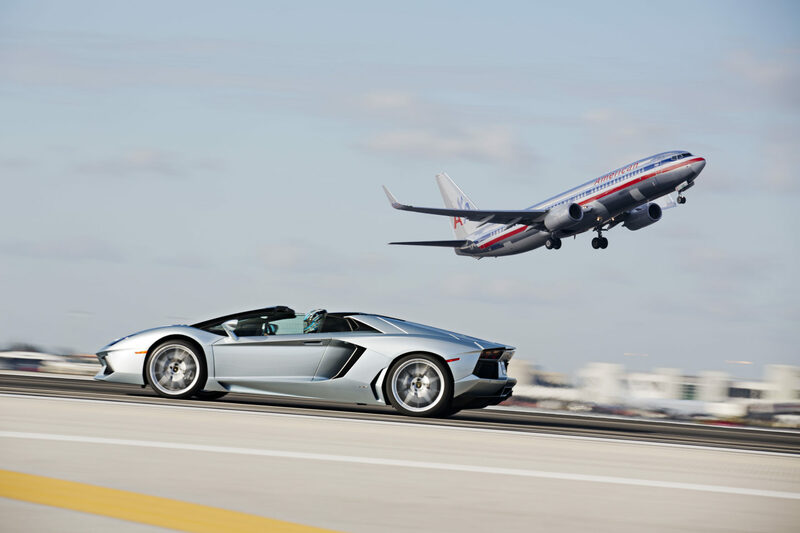 The Lamborghini Aventador J managed to surprise the world back in 2012. 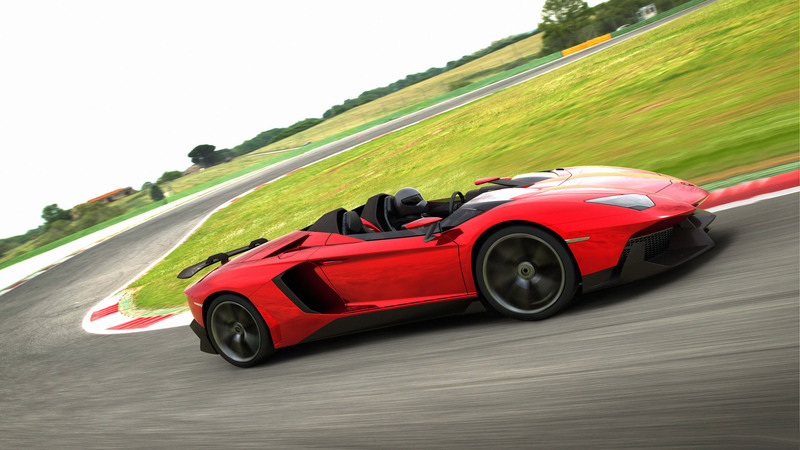 Everyone expected Lamborghini to launch the Aventador roadster, but instead unveiled a windowless, roofless concept. It kept the original 700bhp V12 from the standard Aventador, but the J was lighter due to an obvious lack of components. The weight shedding also meant losing the radio and air conditioning and receiving subtle styling changes such as the fixed rear wing and central rear view mirror. The ‘J’ stands for Jota which is a reference to the one off Lamborghini Miura Jota of the 1970s. Only one of these cars was ever made and sold for over £2.2million. Can you imagine going 200+mph without a windscreen? Quite possibly the closest feeling of being in a Formula One car for that very lucky individual. 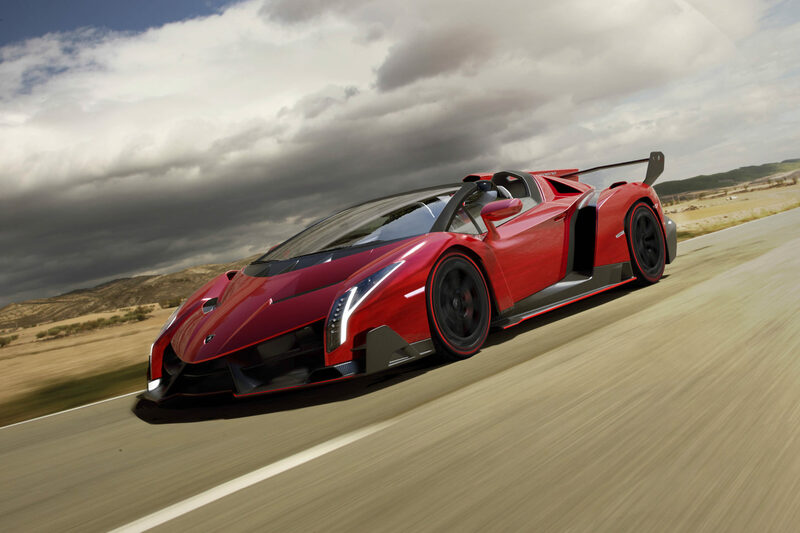 The Veneno is arguably one of the most dramatic road cars every produced (even by Lamborghini standards). But if Looking at this you are in doubt that this is a Lamborghini ask yourself honestly, could you ever imagine another manufacturer pulling this off? Only three of these were ever sold (plus nine roadsters) at a cost of over £3million and was officially the most expensive production car ever. For the money you got the Aventadors 6.5 litre V12 which produced 740bhp and were electronically limited to 220mph making it one of the fastest Lamborghinis in history. The Venenos styling is Lamborghini at its best. A huge rear wing which spans the entire length of the rear and supported by a fin protruding from the roof. The headlights are thin vertical LED’s and help give the car a menacing look and the whole car looks like it is as low as possible to the road with the help of splitters and diffusers. Even the red detailing around the car and on the tires is purposely meant to add drama to the car. The fact that this is a road legal car is remarkable as it looks more like a spaceship ready to go into warp speed. This thing is Lamborghini at its very best, making bedroom poster cars. 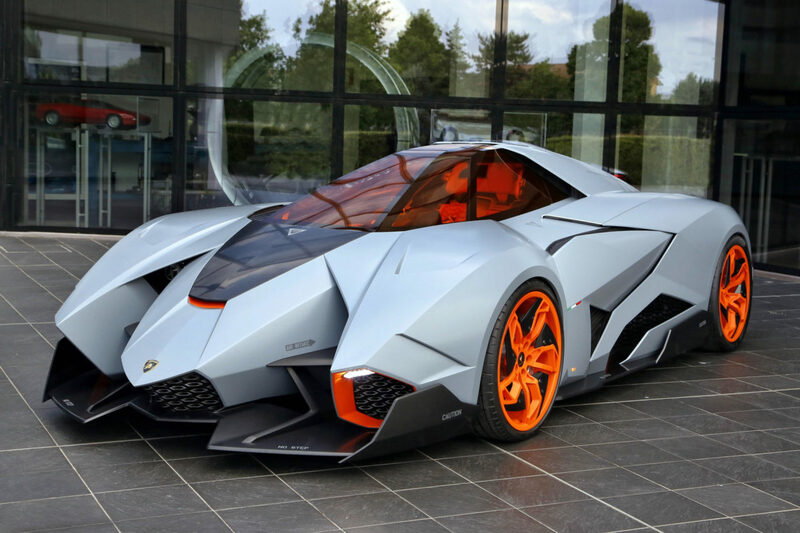 Now this is possibly Lamborghini’s most outrageous concept. The Egoista (Egoista translates as selfish in Italian) was built for the company’s 50th anniversary as a present to itself. Only 1 was ever built and it resides at the Lamborghini Museum in Sant’Agata Bolognese. But because the Egoista was never destined for any road, the designers and engineers were allowed extra creative freedom. This means the concept has a unique one seat cockpit layout inspired from a fighter jet. The orange canopy is completely removable and the steering wheel must be taken off in order to get in or out of the car, just like a racing car. The car was meant to resemble a charging bull from the side with flashes of jet fighter sprinkled over it hence the wheels being made of antiradar materials. Correct, anti-radar…on a car! No other car manufacturer could ever pull off this schoolboy dream in such a spectacular fashion. Even though this will never move more than a few inches it still has a 5.2 litre V10 engine from a Gallardo making 600bhp. It may just be a concept but it’s still a fully functioning vehicle. To celebrate what would have been founder Ferruccio Lamborghini’s 100th birthday, Lamborghini decided to build a celebratory concept car. 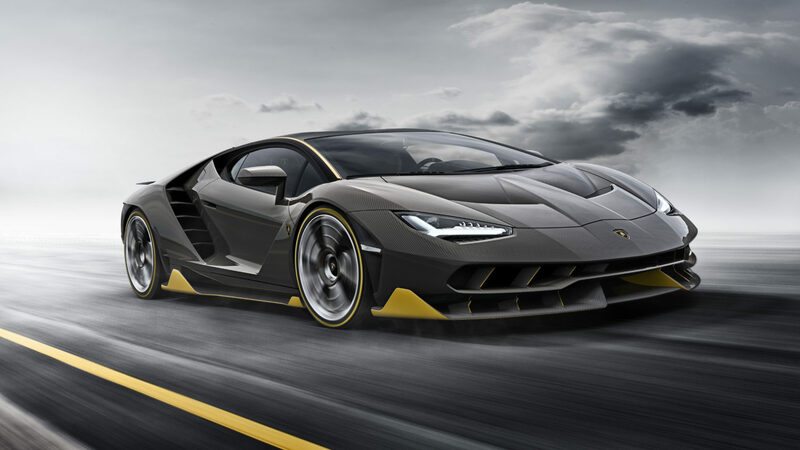 Called the Centenario it was a much more hard-core version of the Aventador on which it was based. The engine was pumped up to make 770bhp and could hit 62mph in just 2.8 seconds. The top speed increased to 217mph. As the car was designed to feature both hardtop and roadster variants, it kept the Aventadors carbon fibre monocoque chassis which keeps the car rigid and also reduces weight. The design of the Centenario is slightly tamer than other Lamborghinis but is still quite dramatic compared to every other supercar. The rear features a massive rear diffuser and unique tail lights while the front has an aggressive looking double grille arrangement. The whole looks like it was designed with only a pencil and ruler as every edge looks sharp enough to cause injuries to passers-by. Only 40 examples were made, 20 coupes and 20 roadster versions each costing a minimum of £2million. So what does the future hold for Lamborghini? Well things aren’t looking bright and breezy unfortunately. With tougher emission legislation across Europe and rising petrol prices there is increased pressure for all supercar manufactures to produce low emission cars. This usually means heading down the hybrid/electric powertrain route which is a major headache for Lamborghini. The very staple of a Lamborghini has been a huge V12 in its flagship supercar; Aventador, Murcielago, Diablo, Countach, Muria, 350GT. None of these would be the same without their huge V12 hearts. Lamborghini is keen to keep its V12 image as long as possible, but has recently been open to the idea of a possible hybrid powertrain following in the footsteps of the Holy Trinity. They showcased what a Lamborghini hybrid might look like in 2014 with the Asterion concept, a 910bhp 4WD supercar for the future. The Asterion is a plug in hybrid which mates the 5.2 litre V10 engine from the Huracan to a trio of electric motors. This is a first for Lamborghini and although there is no word about it making production, it could well be the case as more and more supercars are being forced to go green. Another look into Lamborghini’s future will also see the arrival of their second SUV, the Urus. After a concept was showed in 2012 it was announced in 2013 that it would make production but no date was given. A 4.0 litre V8 will be under the bonnet instead of a traditional V10 or V12 which could possibly see the start of the demise of the big V12. A lot of people are worried about the Urus as they see it as a Audi Q7 or Bentley Bentayga in an expensive Italian dress. But Lamborghini are making sure that they distant themselves as far as possible from any such ideas. The Urus will still be a Lamborghini so expect heavy use of carbon fibre and a stylish yet traditionally angular body. Even though it will have a smaller engine than normal, Lamborghini say it will be the fastest SUV in the world. Lamborghini’s future may not as concrete as they would like but as they have proved with the Asterion, a hybrid Lambo is a very exciting possibility while an SUV could be a big risk but these are risky times for the car world as a whole. As long as Lamborghini do not lose their insane design department, they will continue to be bedroom poster cars for generations to come. That is what they are all about after all. 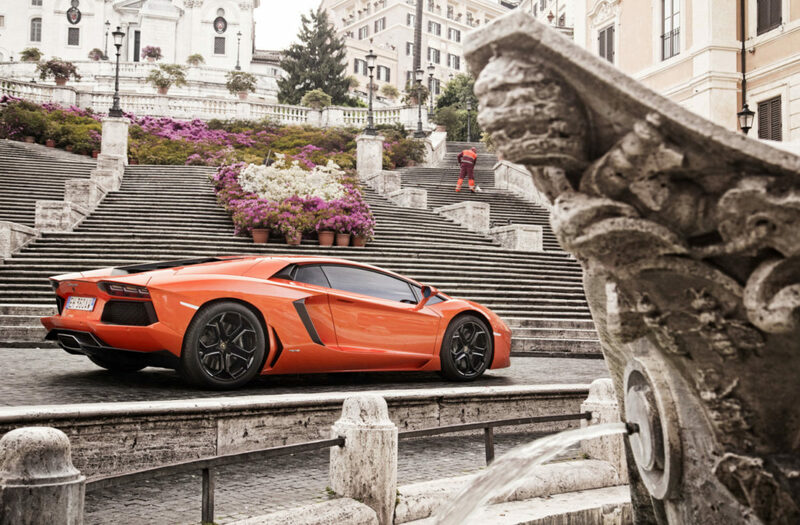 This entry was posted in Brand, Supercar and tagged lamborghini, Supercar.